I came across this article by Adele Peters through Fast Company the other day that highlighted a few INCREDIBLE new ideas that are shaking up the fashion industry. I couldn't help but appreciate how these new ideas are changing the way we think about fast fashion. Take a look and have your mind blown. From dissolving fabric to clothes made from algae, the winners of this year’s Global Change award are trying to plot a new way forward for a fashion industry that’s been too focused on disposable clothing. 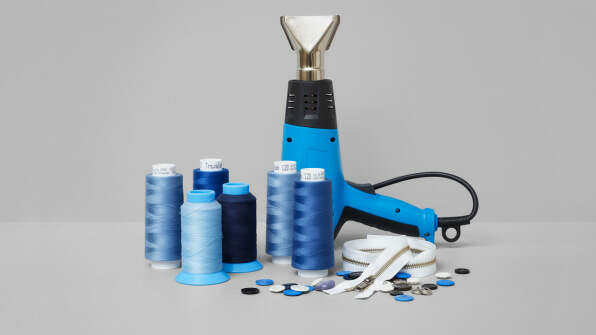 If a shirt or dress made with a new type of thread is heated to a certain temperature (266 degrees, hot enough to melt some types of plastic), the thread will dissolve, making zippers and buttons fall off, and the fabric can be used again. It’s one step in making clothing more recyclable: Right now, disassembling a garment is so labor-intensive that it rarely happens. 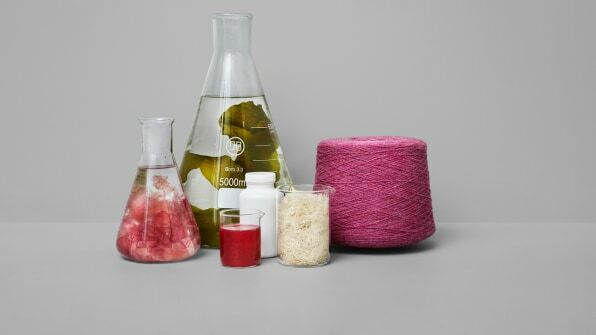 The thread, called Smart Stitch, is one of five early-stage designs to win the 2018 Global Change Award, a competition sponsored by the philanthropic arm of Swedish fast-fashion empire H&M, which aims to help the fashion industry shift from the standard linear model–where clothes often end up in the landfill–to a circular model, where materials can be reused or composted. An online vote currently in process will decide which of the winners gets the largest piece of a million-euro prize. Crop-A-Porter, one of the winning designs, makes fabric out of crop waste. After farmers harvest pineapples or bananas, the waste is typically burned or left to rot on the ground, emitting greenhouse gases. The new process, which extracts cellulose from the waste to make new fiber and textile, turns the waste into a new source of income for farmers. 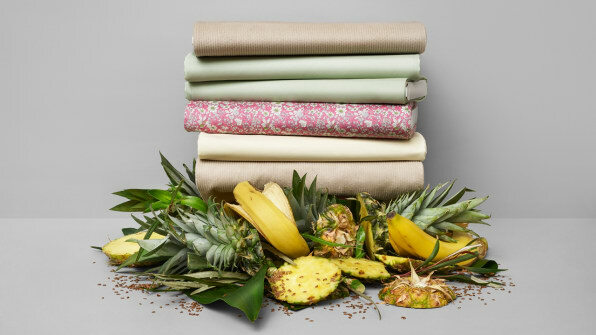 Clothing made from the fabric can be composted. Another design uses mycelium, the thread-like part of a fungus like a mushroom, to grow clothing. The mycelium begins life in large petri dishes, and then is transferred to a mold, where it grows into the shape of a garment. Without having to cut and sew fabric, there is no waste of material. 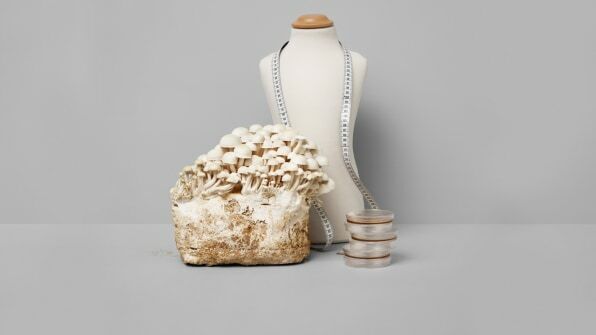 Durability might be a challenge for the designers–it’s hard to imagine a fungus surviving the laundry–but if the clothing wears out, it can be composted or buried in the ground. 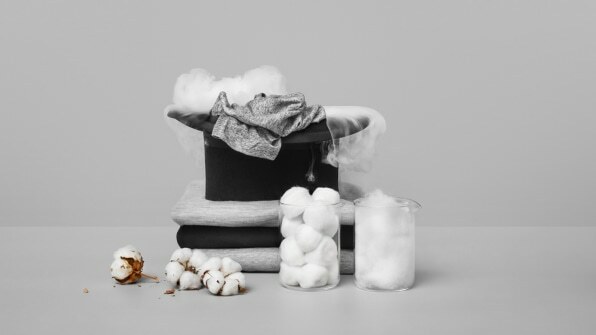 To help with more conventional fabric, another team created The Regenerator, a process that uses a mild chemical to break down cotton-polyester blend fabric so it can be reused. The process breaks down the polyester, leaving the cotton intact. At scale, any of these solutions could have a meaningful impact on the growing problem of clothing waste. In the U.S., over about two decades, the amount of clothing thrown out each year has doubled from 7 million tons to 14 million tons. By 2030, as the global population grows 16%, one estimate suggests that clothing consumption will grow 65%, as 3 billion people move into the global middle class. The fast-fashion industry, where retailers can turn out new cycles of clothing every few weeks, rather than every season, and charge so little that consumers feel no qualms about throwing out nearly new clothing, is clearly one part of the reason that clothing waste is growing. But in theory, even fast fashion could be environmentally sustainable if it was made differently. This is the third year that the foundation has sponsored the competition. Each year, it gives grants totaling 1 million euros to the five winners, and then takes the startups through a yearlong accelerator in Stockholm, New York City, and Shanghai. It’s one piece, Bang says, of beginning to change the industry. “We still have a long way to go, and we need significant amounts of innovation across the entire value chain . . . That said, we’re optimistic,” he says. “A lot of really encouraging and exciting innovations are coming through."